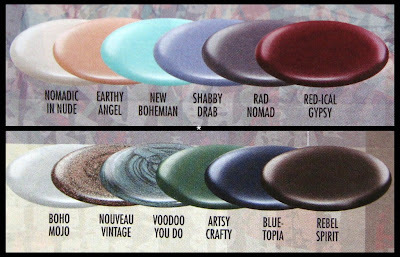 Here's a look at what Color Club has in store for Fall 2011! 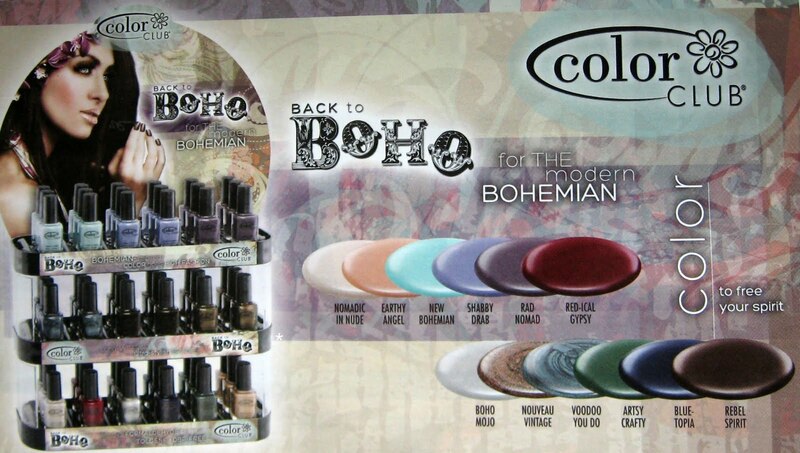 I spotted this ad in the July issue of Beauty Store Business, and even though it's almost 90 degrees out, these shades have me looking forward to Fall already. mmm pretty... Fall makeup and nail colors are my faves! Oh man, I WISH it was "only" 90 degrees where I live. I guess that's what I get for living in south Texas. It will be Fall by the time the temperatures get down to 90 degrees here! Seems so strange to be looking at fall colors when today's the summer solstice! These look lovely though, can't wait to see more. nice shades for coming !! Those look awesome! I especially love the blue, green, & purple! :) Any have an estimated release date? TIA! 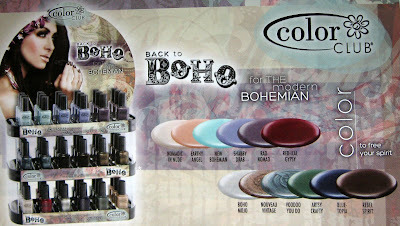 Oo.. New Bohemian is absolutely going to be mine. These look great! I love the names Shabby Drab and Artsy Crafty. I have such a weakness for Color Club - these look gorgeous. Ooooh, looks very promising. I love how they did the little discs of color. I'm still crazy about greens. I'll have to get Artsy Crafty.